Bungee jumping is one of the most adventurous activities around the world and there are myriads of best bungee jumping locations in India, too, where thousands of people face their fear of heights and free fall. Jumping from the height of more than hundred feet with just a rope attached to you can be scary for the first time. However, once you do it, the feeling of accomplishment is unmatched and there is a good possibility that you will be addicted to it. Located in the Mohan Chatti Village near Rishikesh, Jumpin Heights is one of the most loved bungee jumping locations in India. The height of the jumping platform is approximately 83 feet and is built on a rocky cliff. 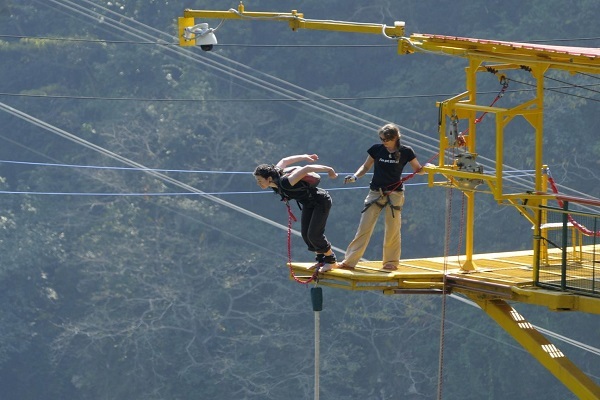 It is the only bungee jumping location of India where you can go for the jump from a fixed platform. 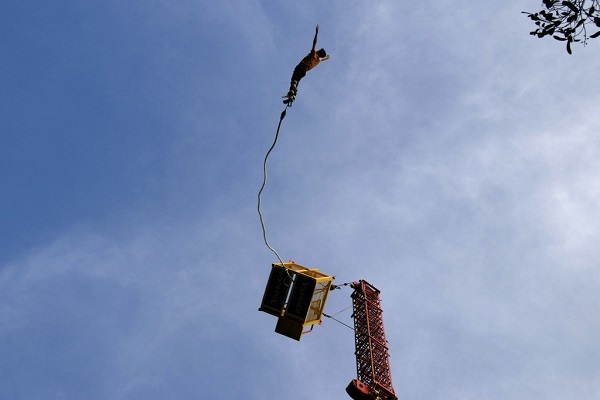 The approximate cost of bungee jumping is Rs. 2500 per jump. Next in the list is Della Adventures, which is situated amidst the serene beauty of Lonavala near Mumbai and Pune. 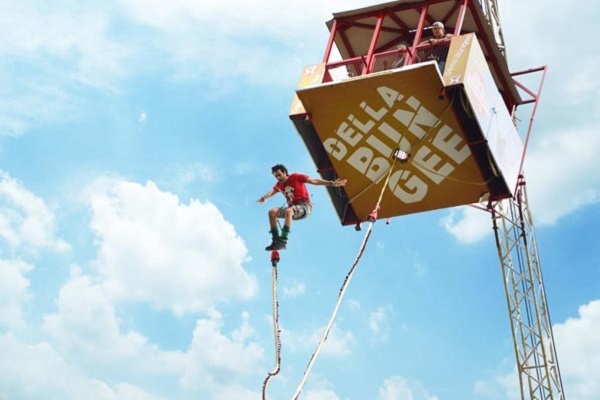 The height of the bungee jumping platform at Della Adventures is approximately 45 feet and the jump lasts for around 4-5 minutes, assured to give you an adventurous experience. Approximate cost of per jump at Della Adventure is Rs. 1500 and only people above 10 years of age are allowed. 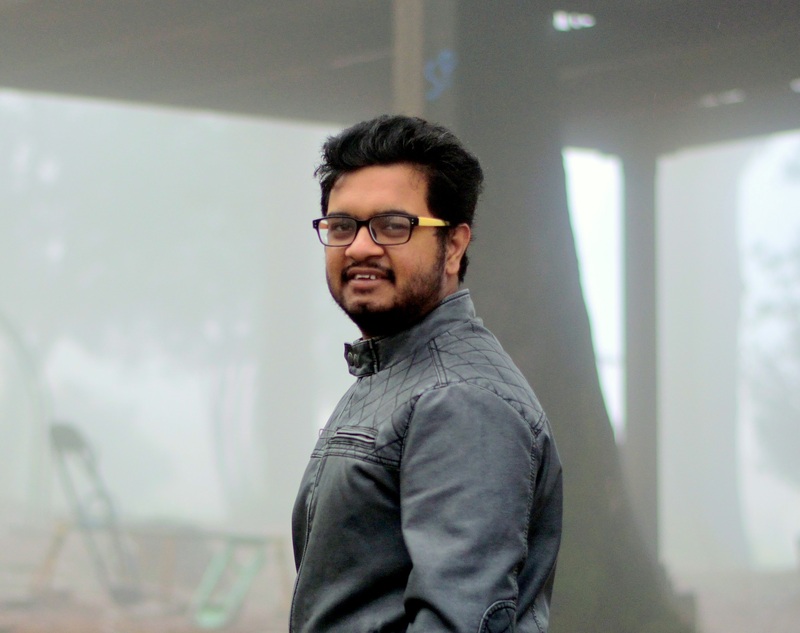 How can India’s most loved tourist destinations not be on this list? Maybe you are not aware of, but apart from various watersports, beers, and beach life, you can also get an experience of bungee jumping in Goa. 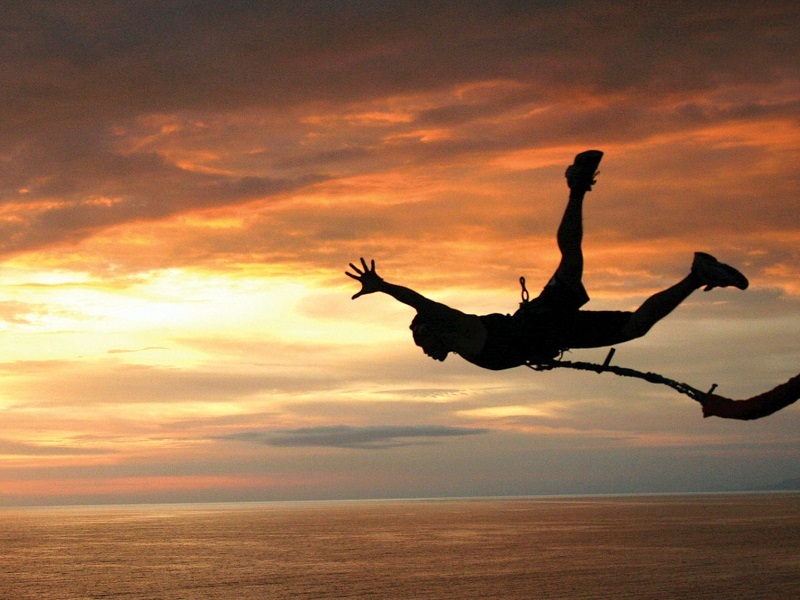 Gravity Adventure Zone, located near the Anjuna Beach, has established a 25-feet high bungee jumping platform. Hence, if you are going bungee jumping for the first time, Gravity Adventure zone can be a good start because of its less height. Bangalore, the IT capital of India, also gives the chance to go for the bungee jumping and experience the thrill of the game. 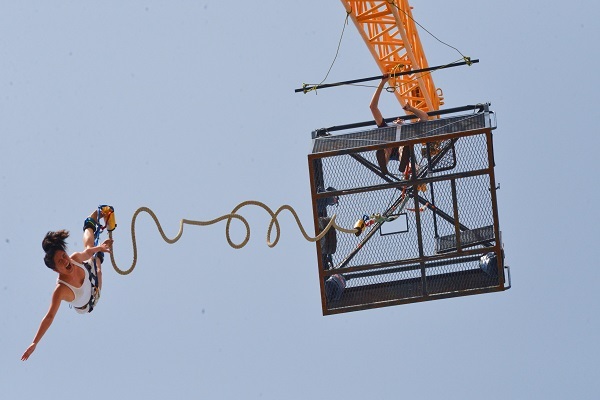 Ozone Adventure in Bangalore conducts the jump and the height of platform is around 80 feet, which is tied to a 130-feet high mobile crane. The people between the age 18 and 60 years can go for the bungee jumping. Due to its location in Bangalore, it is yet another one of the best bungee jumping locations in India.